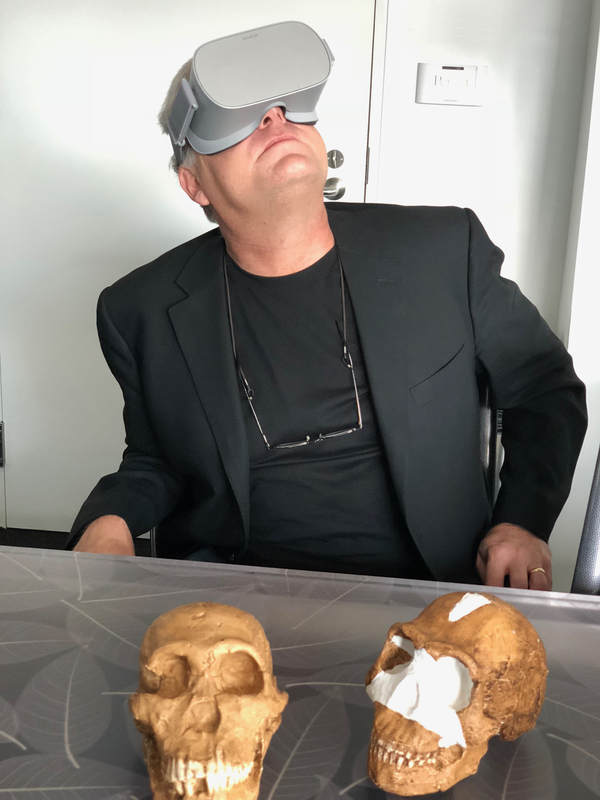 The Perot Museum of Nature and Science partnered with VR studio Groove Jones to create an interactive VR experience based on the new trove of fossil bones discovered in South Africa’s Rising Star cave system, by internationally acclaimed paleoanthropologist Dr. Lee Berger. These skeletons were found in the Dinaledi Chamber — four years to the day after the chamber’s discovery. This site is famous for yielding the first fossils identified as a new species of a human relative of the Homo naledi. The discovery has the potential to transform our understanding of how and where the first humans evolved. It’s one of the greatest fossil finds of the 21st century in its own right,” says Berger. And now visitors to the Perot Museum can step into the chamber and hold the fossils through the power of VR. 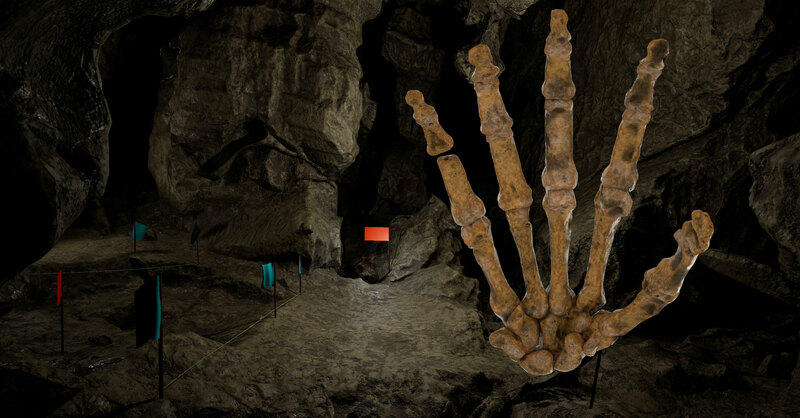 The VR experience allows visitors to feel as if they have stepped into the Rising Star cave, 30 meters beneath the earth’s surface and made their way through the chute into the Dinaledi chamber. This world was created using high-end computer graphics, visual effects and 3D geometry based on LIDAR scans of the actual chamber space. The journey begins with a flyover high above the continent of Africa before dropping you 30 meters below the planet surface. The fossils include an adult right hand, adult right foot, mandible, skull and right proximal femur. 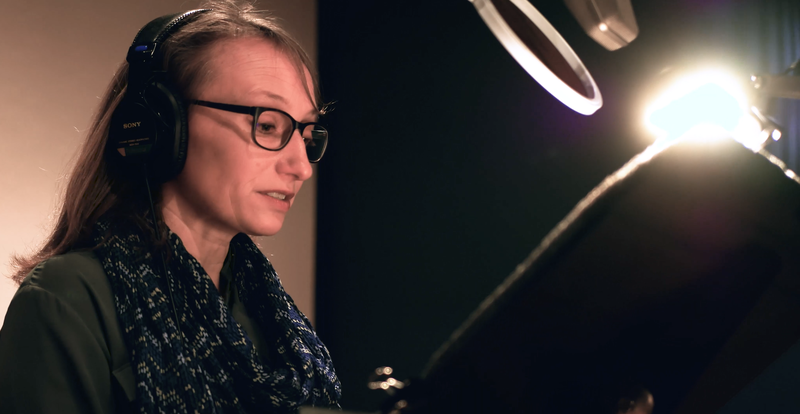 The experience is narrated by Dr. Becca Peixotto, a research scientist who has been named the director of the Center for the Exploration of the Human Journey at the Perot Museum. Peixotto gained fame as one of six scientists – dubbed the “underground astronauts” – who all happened to be women. They excavated the bones of Homo naledi from the deep cave complex. Dr. Lee Berger is an American-born South African paleoanthropologist and Explorer-in-Residence with National Geographic. He is best known for his discovery of the site, Malapa; his leadership of the Rising Star Expedition and the excavation of Homo naledi at the Rising Star cave system in Gauteng, South Africa. Berger recently announced his affiliation as the Museum’s new distinguished science advisor of its Center for the Exploration of the Human Journey. 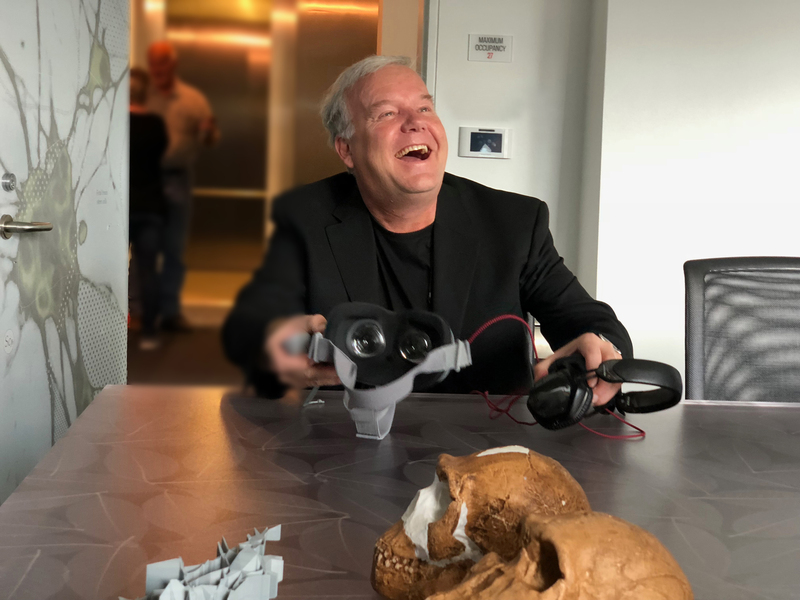 Berger recently dominated world headlines in science with his discovery of Homo naledi, a new species of a human relative, which garnered cover stories in Time, National Geographic, Scientific American and more. A National Geographic Explorer-in-Residence and professor of paleoanthropology at the University of the Witwatersrand in South Africa, Berger also was recognized as one of the 100 most influential people in the world by Time Magazine in 2016. 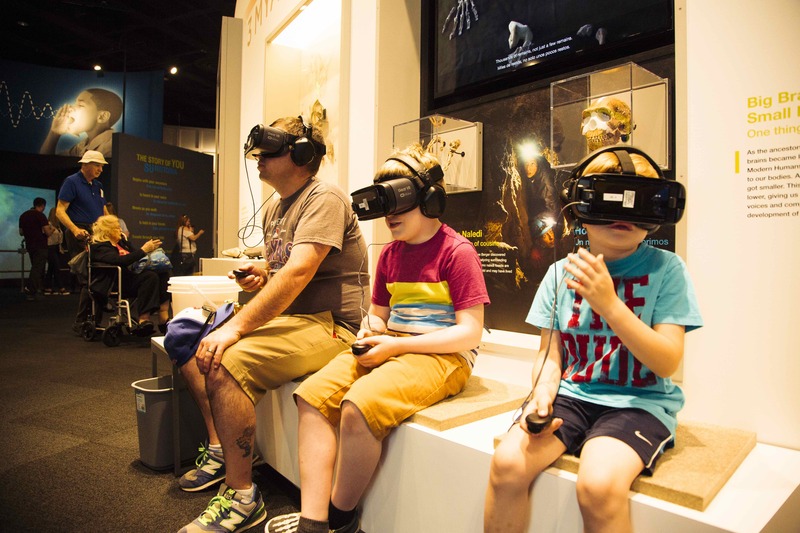 We are using Samsung Gear VR headsets to enable visitors to step inside the South African Dinaledi Chamber and controllers to pick up and inspect 3D scans of the fossil bone discoveries of a new species and the human relative made by the archeological team. 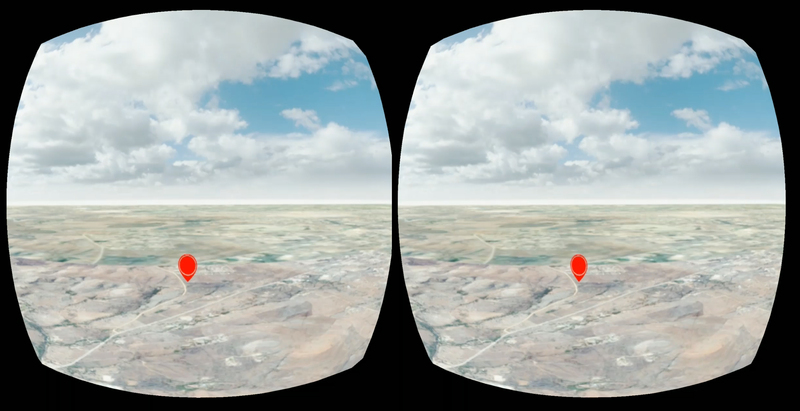 The team used 360º videos, panoramic images, and LIDAR to create the experience. 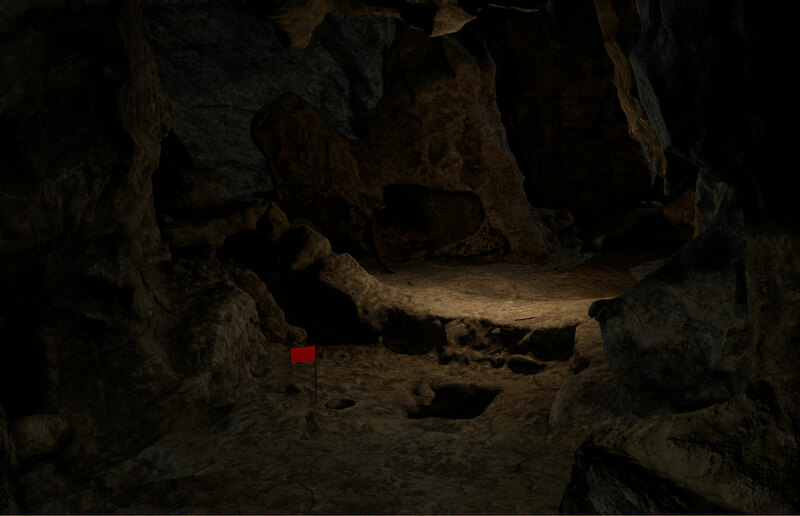 Below are images from the entrance and the dig site. 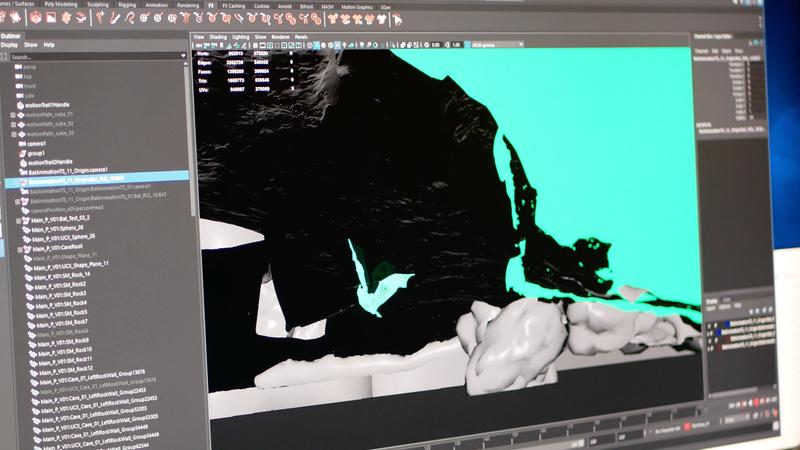 Animating the bat that flies in from the cave ceiling. The beginning of the experience highlights a journey high above the planet down to the Earth’s surface. 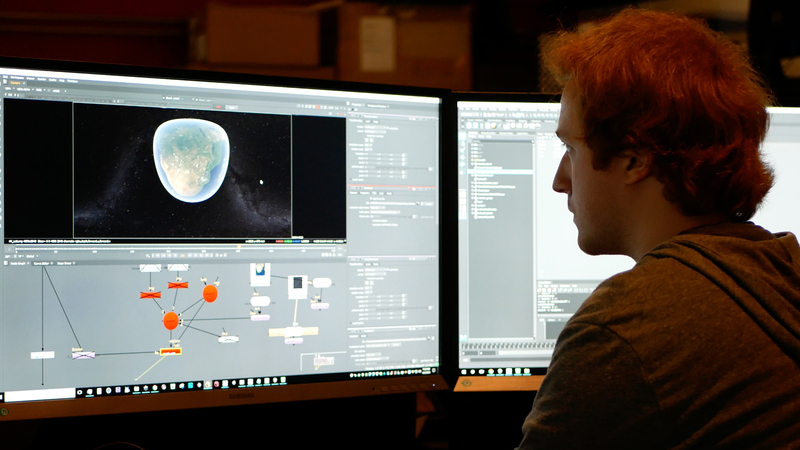 Here one of our developers is working on the animation effect. 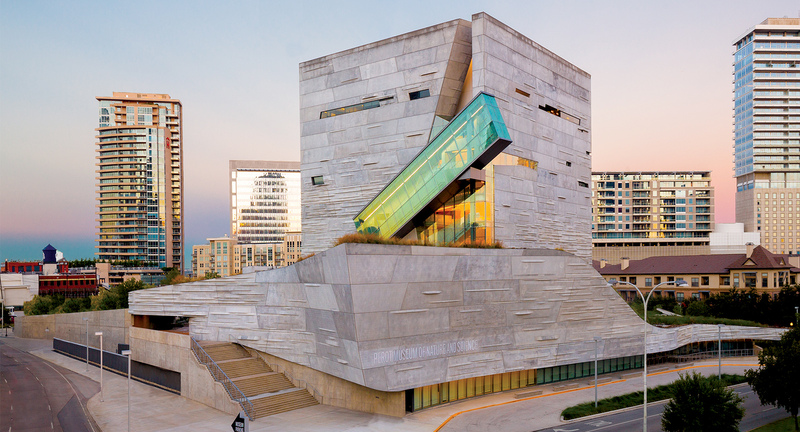 Fulfilling a promise to keep content fresh, relevant and exciting, the Perot Museum unveiled its first wholly transformed exhibit hall since its 2012 opening more than five years ago. The reimagined Being Human Hall showcases Berger’s discoveries and the VR experience. It also has twice as many interactive displays than the original hall, an array of innovative content, and dozens of experiences, all offered in English and Spanish. In a fascinating and highly entertaining manner, guests will be transported through seven components of the human journey plus enhanced Bio Lab presented by Children’s Health and Nobel Prize medals on display, as they explore the traits and abilities that are essential and unique to being human-from early origins and DNA; to the complexities of the brain, hands, face, and voice; to the miracle of movement. 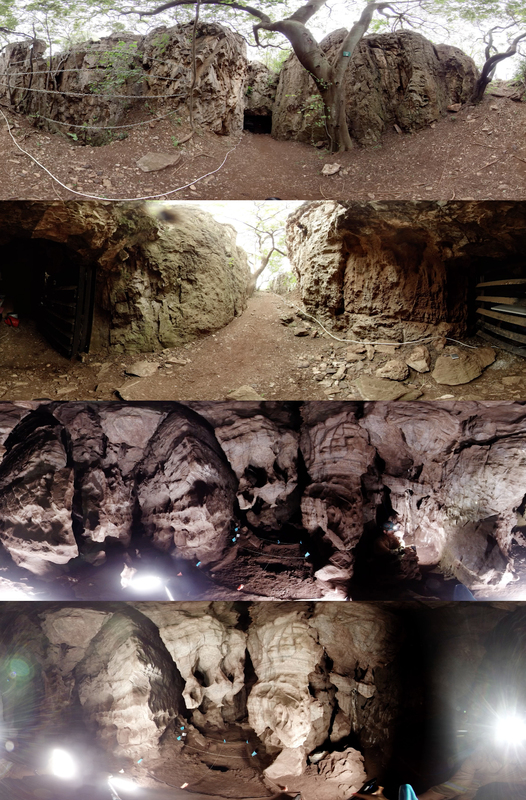 Thanks to the Homo naledi research team at Wits University and around the world including Dr. Ashley Kruger for providing 3D scan data of the cave, Dr. Marina Elliott, Dr. Becca Peixotto, the Cave Exploration Team, and to morphosource.org for making the fossil scans available to the public.